Your HCG answers questions as to what the HCG diet is in response to the overwhelming amount of questions being asked on various HCG diet forums. The HCG diet was created in the 1950s, by endocrinologist, A.T.W. Simeons, M.D. When creating the HCG diet protocol, Dr. Simeons thoroughly researched the nature & history of obesity, the root causes of obesity, along with the underlying psychological aspects of obesity. One of the most common questions being asked on HCG diet forums is ‘What is HCG?’ HCG stands for Human Chorionic Gonadotropin. HCG is a natural hormone, that when coupled with a low calorie diet can aid in weight loss. The HCG will go into the dieters body and ‘unlock’ the abnormal fat. The body uses that abnormal fat as fuel when ones uses the HCG and follows the low calorie diet. With the protocol, the body doesn’t strictly exist on 500 calories that is consumed. The HCG forces the dieters body to unlock the fat stored in the mid-section (hips, belly, bottom and thighs) as well as the upper arms. The dieters body then consumes between 1500 and 4000 calories from the stored fat being released back into the body IN ADDITION to the 500 calories that are being eaten. This compensates for any hunger that one may experience during the HCG diet. One thing that the HCG diet does that no other weight loss product can achieve is that it completely resets the hypothalamus gland. The hypothalamus gland controls body temperature, hunger, thirst, fatigue, sleep and circadian cycles. By doing the HCG diet for a minimum of 23 days, along with six weeks of maintenance afterwards, the hypothalamus gland will be reset to the new lower weight, making it harder to gain weight back. Commencing on day 3 on the HCG drops diet, the dieter will then start the VLCD, also known as the Very Low Calorie Diet. This phase will last a minimum of 21 days up to 45 days. However, with the homeopathic drops, one can take them up to 60 days if they are consistently losing weight. During this phase, they will follow the low calorie diet protocol. This includes 2 lean proteins, 2 fruit servings, 2 vegetable servings along with 2 servings of either Melba toast or Grissini breadsticks. While on this phase, they will consume approximately 500 calories per day, but they won’t be starving or hungry. The body is using the abnormal fat for fuel, and the dieter is not strictly surviving off the caloric intake they are consuming. Once phase two of the HCG diet is complete, the dieter will discontinue using the drops and continue the low calorie diet for 72 hours. This time frame allows all of the HCG to leave the body. After these 72 hours have transpired, the dieter will then move onto the maintenance phase. This phase completes the reset of the hypothalamus gland and will last a minimum of 6 weeks. During the first 3 weeks of maintenance, all foods are allowed except sugars, starches and artificial sweeteners. The dieter will then increase their calorie intake. It’s very important to increase the calorie intake and not continue on with the VLCD while not taking HCG. During the first week of maintenance, one will want to eat a lean protein snack every 2-3 hours. This helps ensure they are not protein deficient during the first week. After the first week of the HCG diet, the HCG user will start eating 2-3 sensible meals with healthy snacks in between. During this phase, it’s a good idea to focus on eating non-processed, whole foods. This is a great time to get in the habit of eating healthy to help maintain weight loss for life. During the second 3 weeks of maintenance, one will start to slowly work in sugars and starches. It’s best to start off with unrefined foods such as brown rice, raw sugar, whole-wheat flour, etc. During maintenance, it’s crucial to maintain the weight within 2 pounds of the last dose weight. 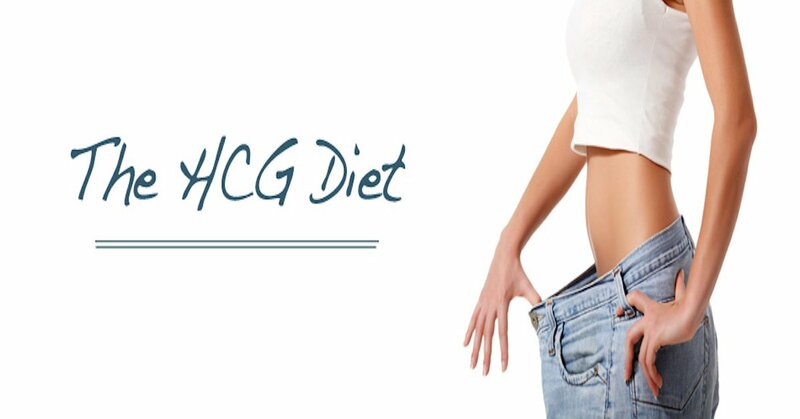 If more than 2 pounds are lost, the hcg dieter will want to increase their caloric intake. If there is no hunger, they can eat healthier, higher fat foods such as avocados or nuts. If more than 2 pounds is gained from the last dose, they will want to do a steak day. A steak day is done the same day that you notice the gain and nothing else is eaten for the remainder of the day. Then in the evening one can eat a huge steak with only an apple or a raw tomato. They can season the steak with salt and pepper, and cook to their liking. This will lower the weight back down within 2 pounds of the last dose weight. Following the steak day, one resumes your previous food intake.